Whether you’re simply looking to get the trash off-site and off your mind, or you’re looking to take on an ambitious recycling initiative, Green Event Ninjas has got you covered. We’re able to put together a full-service cleaning and waste management strategy for large festivals and events that includes an honest approach to event recycling and waste diversion. We can manage any or all aspects of the process, depending on the unique needs on your event. We work with our clients to come up with an appropriate cleaning and waste management strategy and corresponding goals for their event. For instance, going all in and gunning for zero-waste event in Year 1 may not be advised. We often need to walk before we run. We use a combination of front-of-house initiatives (e.g. appropriate recycling bins, waste take-back stations, collection strategies) and back-of-house initiatives (e.g. hand sorting, increasing automation, supplier relations, etc.) to optimize waste diversion at your event. Once your event wraps up, we have the necessary staffing and equipment to ensure that the grounds are cleaned in the most efficient manner. Whether it’s overnight or the following day, we’ll ensure that you’re able to hand-off the venue on-time and in a cleaner state than you received it. Part of our mission is to educate our clients, their stakeholders and the community about the green initiatives that we implement at each event. This includes producing a post-event waste diversion report for each event detailing the success of our efforts. We also tell the story of each event on a dedicated “Green Event Profile” page on our website. Having the appropriate front-of-house event garbage and recycling bins is important, as they have to strike a balance between aesthetics and utility. 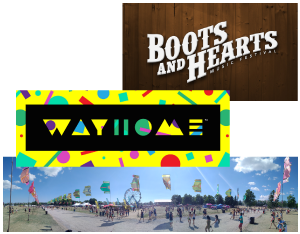 We offer a selection of garbage, recycling and organics bins for rental that are especially well suited for festivals and outdoors events. Not all event dumpster rental and waste disposal companies are created equal. We carefully vet our suppliers and work closely with them to ensure that the appropriate dumpsters are chosen and that the recyclables are being properly diverted to the best local recycling facilities. We do not hire temp labour. Instead, we seek to hire direct from an event’s local community. This allows us to choose the best candidates and to properly train and prepare them for the kind of work that they’re signing up for (i.e. “Yes, you’ll be sorting through yucky garbage.”). The difficult state of today’s recycling industry in North America requires that we adequately sort our event recycling and compost. We do this by using a mix of passive, manual and automated methods of waste separation to make sure that we divert the “cleanest” waste streams possible. We’ve been at this for awhile so we come prepared with all the necessary cleaning equipment that can be the difference between having a “tidy” event versus a polished event experience for your guests. Bags. Gloves. Bags and gloves. Bagloves! We buy a lot of bags and gloves! As a result, we have been able to secure great pricing for our… bags and gloves… and all manner of other cleaning supplies. We’re able to pass these savings onto you. While our home base may be in Toronto, we’re able to provide our cleaning & waste management services in an efficient and economical manner across Canada and the United States. Toronto, Houston, Chicago, New York, Miami, Antingonish (where?!) and wherever your future event may be. At Green Event Ninjas, our driving principle is, “Sustainable events made easy.” To this end, we provide services that help event organizers, venues and others in the events industry to “green” their operations. One of the biggest ways that we do this is by providing our cleaning and waste management services – with a special focus on maximizing the rates of recycling and organics diversion. 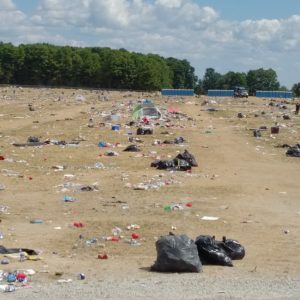 Traditionally, the recycling waste stream at large festivals and events quickly becomes contaminated with food, drink and other waste. Let’s face it, most event attendees are more interested in their experience than with whether they’re sorting their waste correctly. Recycling facilities cannot accept contaminated or dirty recycling, however, so when presented with a dumpster full of contaminated recycling, they’re forced to turn it away and it ends up becoming destined for landfill after all. So while putting out enough recycling bins and then throwing it into a dedicated recycling dumpster is a good start, it doesn’t necessarily close the loop on the back-end of the issue by making sure that the dumpster of mixed event recycling is actually going to be recycled. We aim to challenge this difficult status quo by introducing an innovative approach to separating and sorting the recycling and organics at events – a combination of front-of-house initiatives (e.g. well labelled recycling/organics bins, waste take-back stations, collection strategies, etc.) and back-of-house initiatives (e.g. hand sorting, automation, compaction, etc.) that are especially ninja-like. We prefer to present our estimates in a “management + cost” manner due to the dynamic nature of of the industry. It allows us the flexibility to work with our clients to adjust the budget should any (or all!) factors change, which is often the case with events. We believe that this transparency is of key importance to our relationship with our clients. If affords a level to candidness that allows us to solve problems collaboratively – creating a whole greater than the sum of its parts. We prefer to hire direct from a client’s and/or an event’s local community. This allows use to choose the best candidates and to properly train and prepare them for the kind of work that they’re signing up for (i.e. “Yes, you’ll be sorting through yucky garbage.”). By carefully vetting and choosing the best candidates possible, we’re able to build a team that understands what is being asked of them, receives the appropriate training, and may even share some of the passion for the environment that we have. We have gotten to where we are today – in a position to shift the events industry to a greener and better future – by challenging the status quo at every turn. We always have and will always continue to question when others say it cannot done. It’s too expensive. It’s too complicated. It’s too much work. It’s too risky. These are all excuses that we have proven to be false time and again. When you’re committed to doing good through the use of creativity and intelligence, solutions have a tendency present themselves to you when you need them most. In the fast-paced environment of the events industry, it’s common to come across situations where you could cut corners and none would be the wiser. When faced with these moments, we make a point of reminding ourselves of why we got into this business in the first place and what we’re aiming to achieve. Besides always striving to be the very best, we’re also working towards shifting the events industry as a whole towards becoming altogether more responsible – environmentally and socially. Progress cannot be built on a lie and if we were to taint our name or that of the event sustainability movement by acting in bad faith, we would be dismantling all of the good work that we and others have all done up until now. 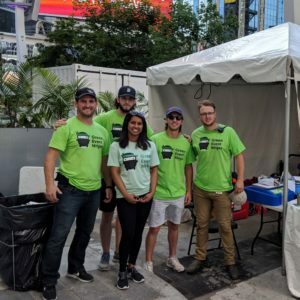 Green Event Ninjas jumped into the fray at Yonge-Dundas Square, in Toronto’s downtown core, teaming with NXNE Festival Village to deliver an awesome cleaning and recycling program. Our crew reflected the fun and positivity of the event in the way we approached our work. Happy to jump-in and help the organizers or a vendor with any request, we kept the streets ship-shape over the course of the weekend. When it was time to load-up overnight, we were able to clean the grounds thoroughly and in plenty of time for the street to re-open the next morning. 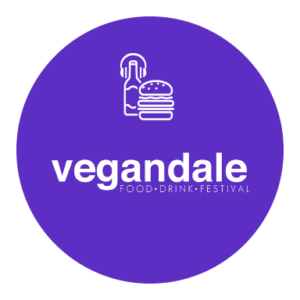 It turns out that the folks at the Vegan Food & Drink Festival liked our work so much in 2017 that they invited us back for all their events in 2018 – Houston, Chicago, Toronto and New York. 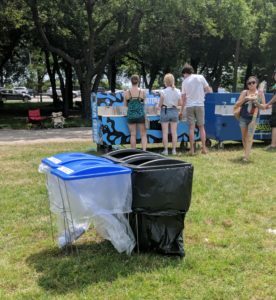 For 2018 and alongside a freshly re-branded Vegandale Food & Drink Festival, we rolled out a first time event organics/compost diversion initiative in addition to continuing the hand-sorted recycling. With some of the cites boasting over 100 food vendors (wow! ), we focused our efforts on a back-of-house organics diversion strategy that aimed to divert the compostable waste generated from all that food production. We also made sure that the organics waste went to a dedicated composting facility in each city and not to an industrial feed lot, ensuring that its disposal aligned with the event’s ethics. 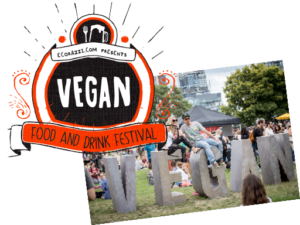 The 2017 Vegan Food and Drink Festivals in Toronto and New York boasted 12,000+ and 13,000+ attendees each, respectfully, and provided festival goers with a vast selection of fiercely vegan-friendly food, drink and live entertainment options. Green Event Ninjas managed the festivals’ cleaning and waste management programs from start to finish, introducing a hand-sorted recycling stream for the first time and remaining well under budget for each event. It turns out they liked our work so much that they have invited us back for all their events in 2018 – Houston, Chicago, Toronto and New York – where we will be rolling out a organics/compost diversion initiative! 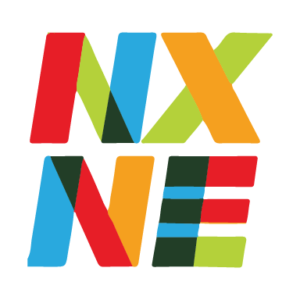 Green Event Ninjas was the Sustainability Advisor to a successful bid for the cleaning and waste management contract for the two large music/camping festivals in Ontario, Canada (an estimated 40,000 and 35,000 attendees each, respectfully). Green Event Ninjas then participated in the subsequent planning and on-site implementation of the services, helping to complete the contract ahead of schedule and exceeding the expectations of the client. In 2018, our Founding Ninja, James Watson, spearheaded an initiative via Cans for Good – a social enterprise that he Co-Founded – and successfully collected over $32,000 in can deposits. Beer cans! After covering their operational expenses, the remainder was donated to local sports teams from the surrounding communities. 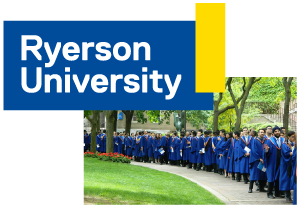 Green Event Ninjas developed a waste diversion initiative for Ryerson University’s twice annual Convocation ceremonies. In addition to directly overseeing its implementation on-site (e.g. bin placement, signage, collection), we also completed daily waste audits to understand the success of our initiative. The results of those audits were included in a broader report with recommendations for a campus-wide sustainable events program. 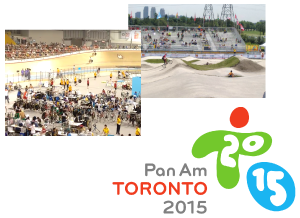 Green Event Ninjas’ Founding Ninja, James Watson, was hired by the Toronto 2015 Pan American Games as a Venue Manager for Catering, Cleaning and Waste (CCW). He was responsible for managing the relationship between the Organizing Committee and the catering and cleaning contractors at two separate venues, ensuring that the Games’ standards of cleanliness and service were maintained.